Find out how to design the right surveys for your research project and get the most out of your data with our guides. Topics include everything from managing your survey respondents to analyzing and acting on your data. The most successful brands rely on data to inform everything from their marketing segmentation to the product features they develop. And increasingly, they’re bringing their research in-house, giving them more control over the studies they run and how they use the data. Without research, business decisions are based at best on past consumer behavior and at worst on gut feel. Take product development for example – just because a feature was a hit in your last product, how can you be sure it will be in the next one? Carrying out market research allows you to use data to answer those questions. By identifying and gathering feedback from your target customers, you can understand how they feel about your products and services, your brand, and your communication before you go to market. It means you can make changes based on their feedback and work to improve things before launch, giving you a higher chance of success. You can use market research for almost anything. If you want to find something out from your target audience, it’s likely market research is the answer. Product development – testing new product features and gathering feedback from your target audience can be the difference between success and failure when you go to market. Brand tracking studies – your brand is one of your most important assets. But unlike other metrics like product sales, it’s not a tangible measure you can simply pull from your system. Regular market research that tracks consumer perceptions of your brand allows you to monitor and optimize your brand strategy in real time, then respond to consumer feedback to help maintain or build your brand with your target audience. Buyer segmentation and profiling – buyer personas help you develop products and communications that are right for your different audiences. By understanding your buyers and potential customers, including their motivations, needs, and pain points, you can optimize everything from your marketing communications to your products to make sure the right people get the right message, at the right time, and via the right channel. Advertising and communications testing – advertising campaigns can be expensive, and without pre-testing, they carry risk of falling flat with your target audience. By testing your campaigns, whether it’s the message, or the creative, you can understand how consumers respond to your communications before you deploy them, so you can make changes in response to consumer feedback before you go live. Competitor analysis – another key part of developing the right product and communications is understanding your competitors and how consumers perceive them. You may have looked at their websites and tried out their products, but unless you know how consumers perceive them, you won’t have an accurate view of where you stack up in comparison. Understanding their position in the market allows you to identify the strengths you can exploit, as well as any weaknesses you can address to help you compete better. Trusted by 8,500 brands for everything from product testing to competitor analysis, Research Core is the world’s most powerful and flexible research platform. 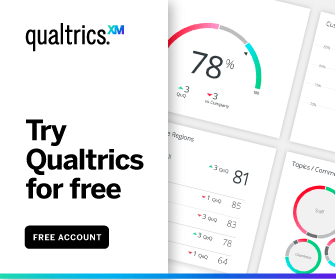 With over 100 question types and advanced logic, you can build out your surveys and see real-time data you can share across the organization. Plus, you’ll be able to turn data into insights with our predictive intelligence engine, iQ, that runs complicated analysis at the click of a button.